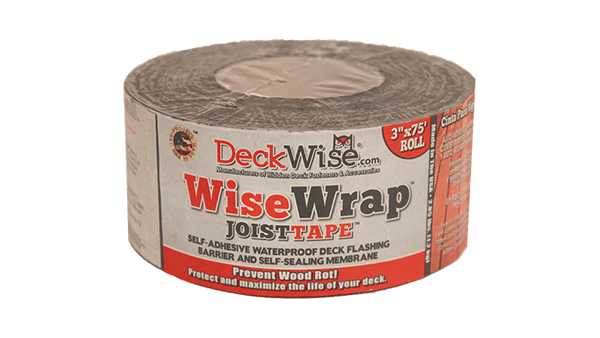 Always Purchase from an Authorized DeckWise® Dealer! 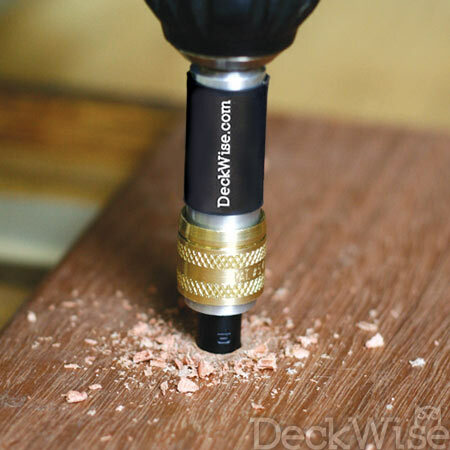 The Drill & Drive™ is a 3-in-1 tool you can use to pre-drill, countersink, then flip the insert and drive screws into decking. 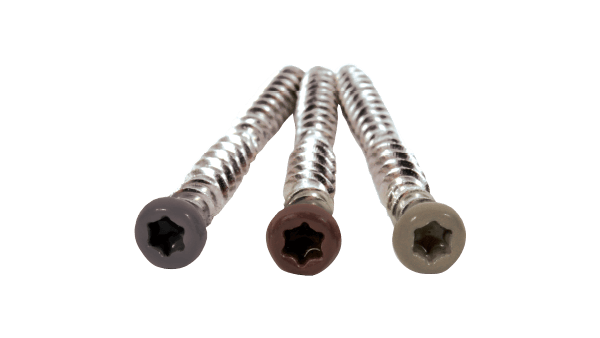 The ease of use makes pre-drilling hardwoods and installing deck screws 3 times faster than standard drilling & driving. 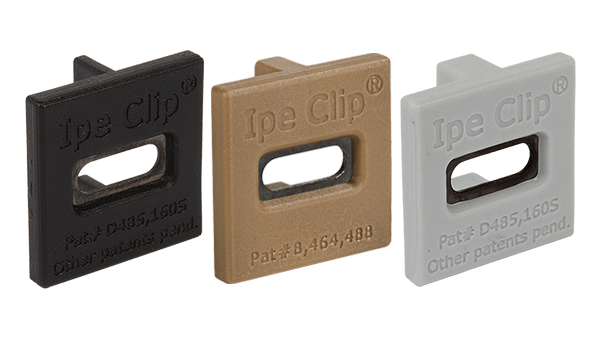 The 3-in-1 tool that makes drilling and driving up to 3x faster. 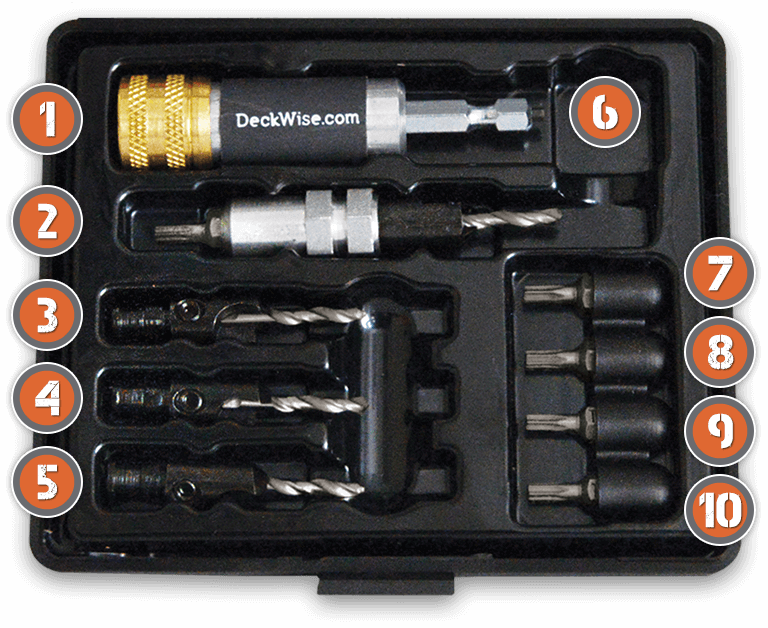 Deck builders, once you start using the Drill & Drive™ toolkit, you'll quickly realize how much faster and more productive every single deck install will be in the future. 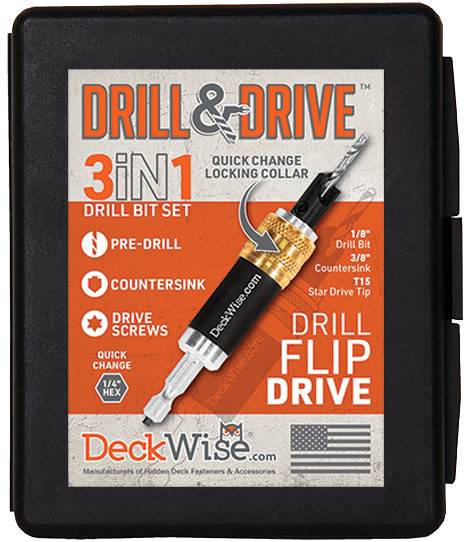 For homeowners, the Drill & Drive™ system can be used for more than deck building. 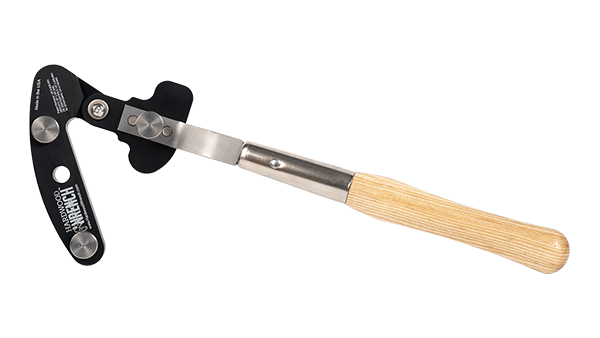 It's utility makes it the perfect solution for home touch-up, or home renovation project. 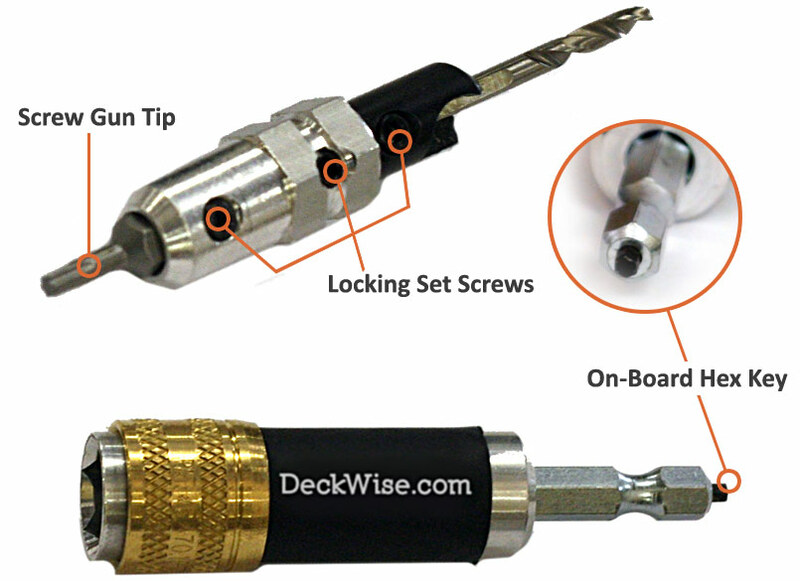 Adjustable pilot hole and counter-sink drill bit system. 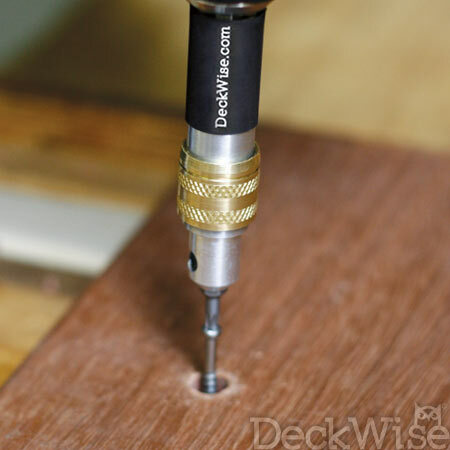 Use to countersink screws for drilling plug holes with pilot holes all in one step. Call ahead to make sure the product you want is in stock. 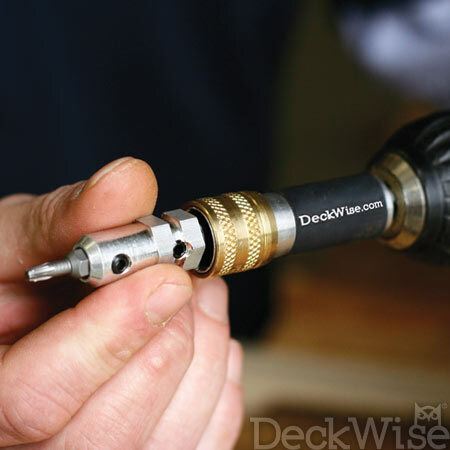 Can't find a local DeckWise® dealer near you? Use our dealer locator to find DeckWise® building products locally near you! 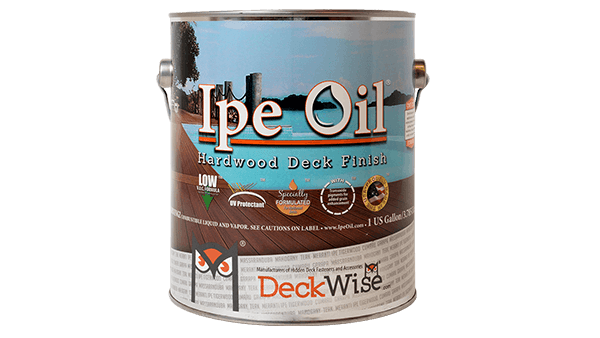 © 2018 DeckWise. All rights reserved.